« What Can We Do When Bigotry Seems So Present? Look at the photo above, though. 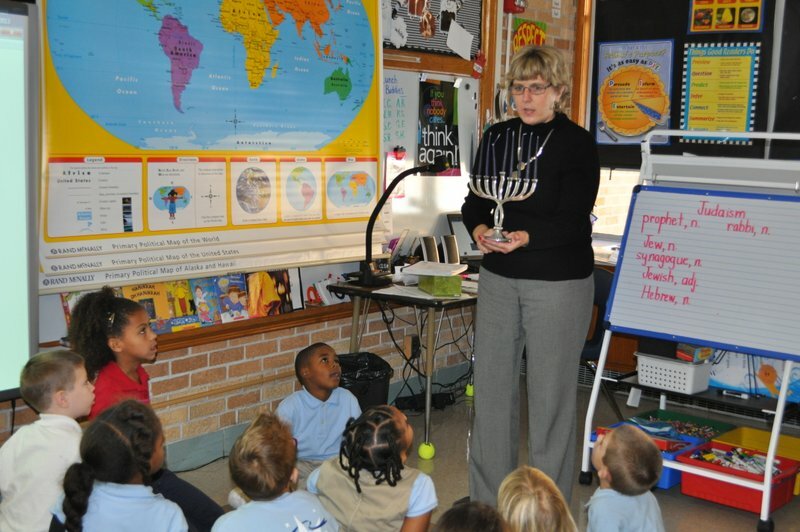 First-grade teacher Debbie Fagg at the Minneha Core Knowledge Magnet Elementary School in Wichita, KS, is teaching about Hanukkah in early November as part of a multi-week unit on three monotheistic religions, Judaism, Christianity, and Islam. She brought the menorah in for the Judaism unit, which also covered many other Jewish holidays, including the holiest ones of Yom Kippur and Rosh Hashanah. This week, I published my latest opinings on confronting the December Dilemma in public schools, a commentary for WBUR’s Cognoscenti headlined, “Volunteering As ‘Hanukkah Parents’ Lets Schools Off The Hook.” I wrote this essay knowing full well I would get push back, primarily from Jewish parents who fear Hanukkah won’t get talked about at all if they do not come in to talk about the holiday. I understand that fear, but the point of my book, Faith Ed, and the essay is to get educators and parents to think about the bigger picture. Teaching about religion is not just about the holidays nor is it about celebrating holidays. Teaching only about Hanukkah gives a sliver of what Judaism is about and unfairly tries to equate a minor Jewish holiday with a major Christian one. I’d love to see parents encourage their schools and teachers to think about the best way to teach about the world religions. It’s not just about making religious minority children feel good about their own identity. It’s about making a more religiously literate society. Some commenters on my recent essay said via tweets or Facebook they would find it hard to trust teachers in elementary schools with teaching about religion or getting all of the holidays correct. Yes, some teachers might make mistakes, but if they use good resources and seek coaching for what they do not know, they can do it. I saw some teachers make mistakes but also saw a willingness to correct things like mispronunciations. I love this photo as much as the first one of Hanukkah. It’s a slide with an image of Jesus. 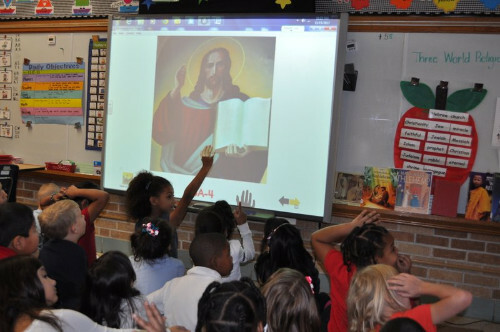 The first-graders are learning about Christianity, which follows their week-long unit on Judaism. I balked when a woman from a church came to my fourth-grade classroom in Ohio in the 1970s and put figures of Jesus and his disciples on a felt board. But she was clearly preaching at me and my peers and asking us to think about how Jesus was helping us in our lives – as if we were all Christians. In this example above, Mrs. Fagg is careful to use phrases like , “Most Christians believe,” etc. and not to say, “You must believe.” It was informational, and the children learned that Christmas was a holiday to celebrate the birthday of Jesus, an important figure in Christianity. Merry Christmas to my Christian newsletter subscribers. Happy Hanukkah to my Jewish ones. Happy New Year to all. Unlike President-Elect Donald Trump, I prefer not to wish everyone in America a Merry Christmas. I respect the diversity of religions among us as well as those who ascribe to no particular faith. Writing about Religion six-week course: Beginning Jan. 8, I will teach a six-week course on writing about religion for Grub Street in Boston on Sunday nights. Spots still available! Find more information at this course link. 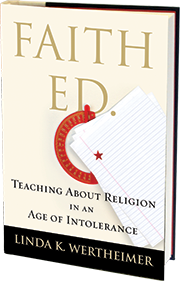 Signed Copies of Faith Ed available for sale, ordering at Porter Square Books in Cambridge: Check out this link. It says hardcover, but I can sign a paperback as well. Faith Ed Reader’s/Teacher’s Guide: Interested in reading Faith Ed at your book club? Check out the free, downloadable guide here. Reading recommendations in these tumultuous times – from Beacon Press: My publisher came up with a wonderful list of books that can inspire change and provoke thought, given so many of us are worried about the decline of civility and respect for all after the election of Donald Trump as president. Many of us are worried, too, about how the election will affect every aspect of society, including the environment. Find the Beacon recommendations here. What Am I Reading? I tend to read a few books at once. Right now, I’m in the middle of Jessica Treadway’s latest novel, How Will I Know You, which examines a murder in a small town. I’m also reading Same Family, Different Colors by Lori Tharps, a fellow Beacon Press author. 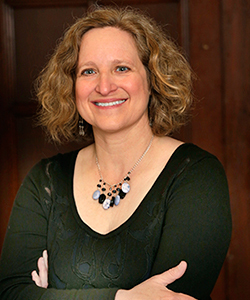 Lori’s book takes readers into the world of mixed race families and the complexities of race, a particularly relevant topic at the moment. For writing inspiration, I’m starting Patty Dann’s, The Butterfly Hours, about writing memoir. What are you reading? Want to share your reading recommendations with my subscriber list. Email me with your favorite book at the moment. I’ll include it in a subsequent newsletter. Tagged Christmas, Faith Ed, Hanukkah, Jewish holidays, Judaism, public schools and religion, religion and education, teaching about religion. Bookmark the permalink.